Ceramics are known to be one of the most effective compounds in improving braking capacity. Every material has been carefully chosen for the MX72 in order to produce minimal noise and dust while producing high friction at lower temperatures. 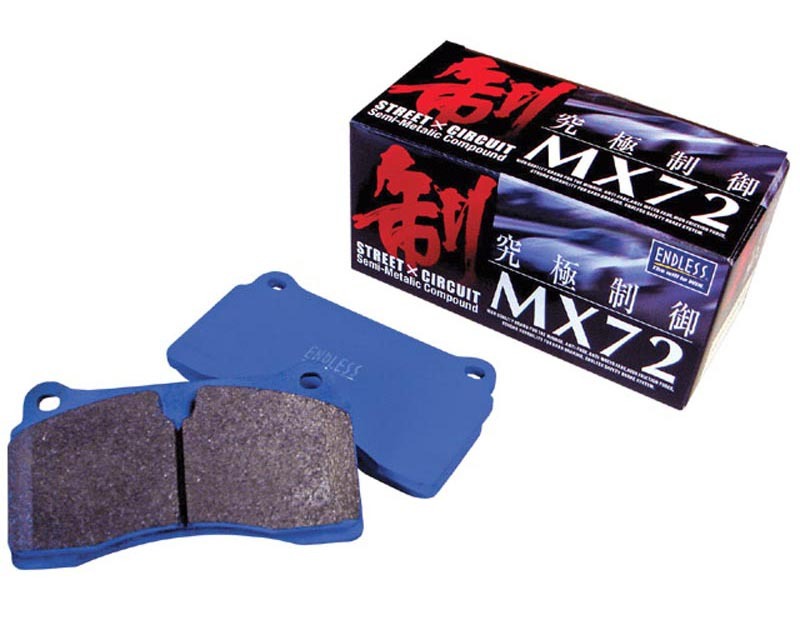 The MX72 improves upon the ever-popular CC-X compound by improving braking capability at higher temperatures. The MX72 compound is capable of doing this while at the same time causing less wear on rotors. Even pedal feel, which is already better with semi-metallic material pads, was further improved upon. The MX72 is the ultimate, dual-purpose, street and light track compound. Recommended for stree, high way, light circuit use.